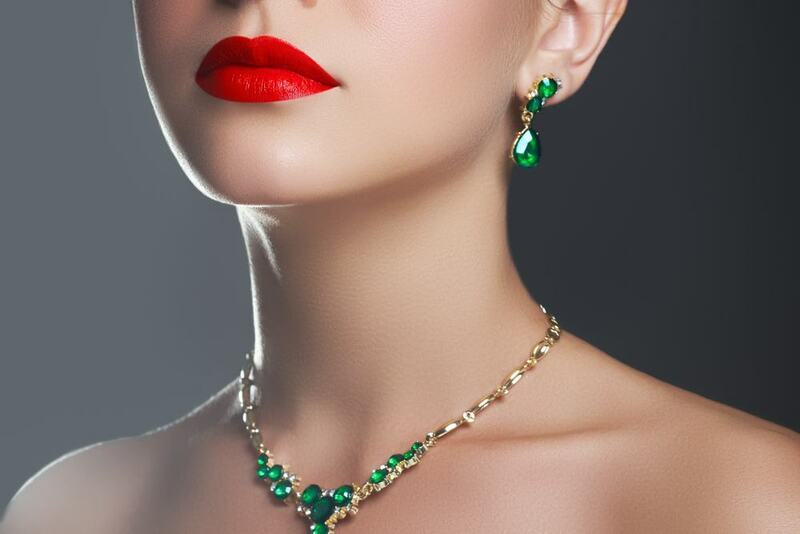 Whether you are celebrating Christmas, Mother’s Day, an anniversary, or a birthday, jewelry is always a great gift for the special ladies in your life. But with so many styles and stones available, finding the right piece can be a real challenge. Next time you’re gift shopping, stick with something timeless—like a pair of gemstone stud earring sets and a necklace to match! Why Buy Gemstone Stud Earring Sets? Gemstones, the often colorful cousins of the diamond, are bright and beautiful—just like the women who wear them. The bright colors of these stones add personality and fun to an ensemble, which makes gemstone jewelry an excellent addition to any woman’s collection. Also, these stones are often not as rare as diamonds, so they are a more affordable option for buyers on a budget. At Brilliance, we have a wide selection of gemstone stud earrings for women. Our gemstones span the color spectrum, from playful colors like aquamarine and citrine (an orange-yellow hue), romantic shades of pink and red, and rich, “royal” colors like blue sapphires, purple amethysts, and green tsavorite. These round cut stones will look striking on anyone’s ears! Of course, when you’re buying a gift for someone truly special, you want to give them something extra to show them just how much you care. That’s why many people put together a jewelry set for special occasions. And what pairs well with a lovely pair of gemstone stud earrings? A pendant necklace made to match! Diamond and gemstone pendants are a chic and subtle way to add flavor to an outfit. The chain is small and simple, giving the pendant at the end – which could be anything from a simple circle to an elegant journey pendant – room to shine. Just make sure you buy a necklace in the right style. We’ve got a handy guide to help you! Once you decide on the type of gemstone earrings you want (i.e. what color, type of metal, etc. ), you can really get creative as you complete your jewelry set. Don’t be afraid to mix gemstone colors and different stone shapes! With a little personalized flair, you can put together a look as unique and special as the woman who will be wearing them. 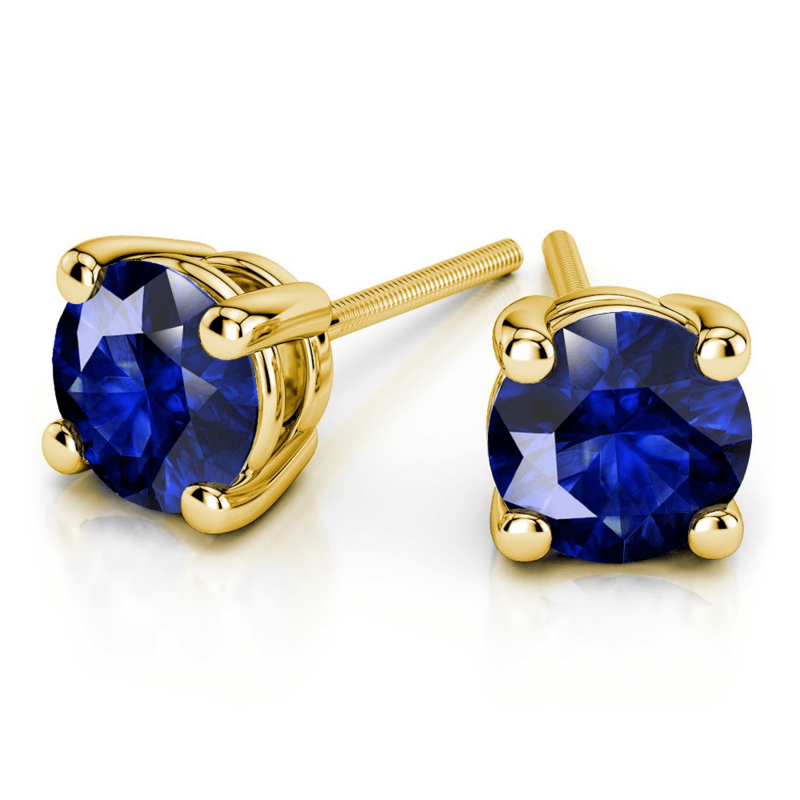 For example, let’s say you purchased a pair of blue round sapphire gemstone studs. The round cut is simple and elegant, while the deep blue gemstone and gold setting calls to mind regal beauty. How can you pair it with something special? 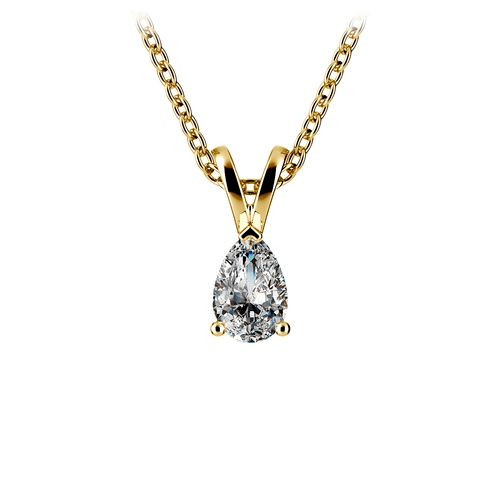 Consider this: a pear-shaped pendant in that same yellow gold. The three colors (gold, blue, and white) look lovely together, while the teardrop shape of the pendant adds dimension to the overall look without departing too drastically from the round shape of the earrings. Trust me, she’ll love it! The next time you have to buy a gift for any of the special women in your life, go ahead and try something out of the ordinary. 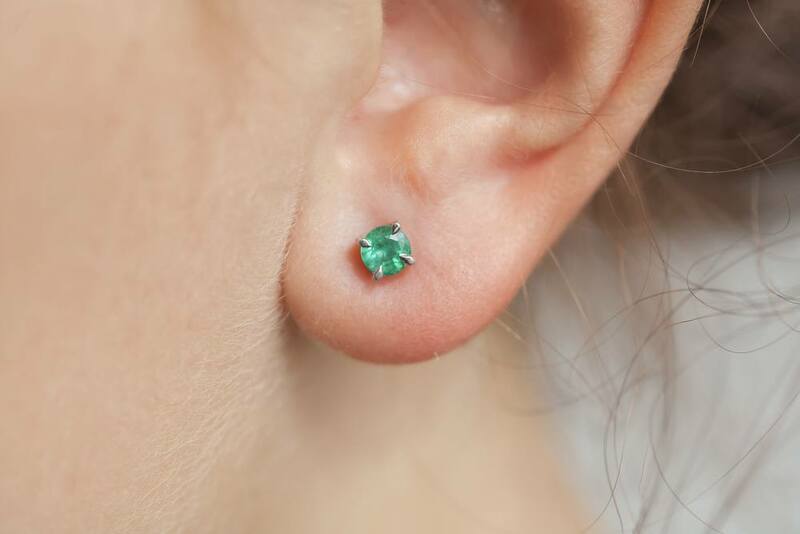 Gemstone stud earrings are a wonderful way to show her you care while giving her something that reflects her uniqueness and personality. And when you add a matching (or complementary) necklace, you’ll have a memorable, thoughtful gift that she will want to put on right away!